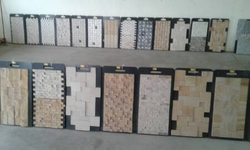 A Stones - Wholesaler of handicraft stones, sand stone & lime stones in Chennai, Tamil Nadu. 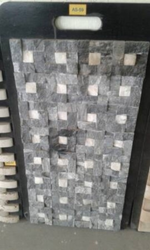 Sizes : 4 " x 12 ", 4 "x 4 ", 6 " x 12 " & 8 " x 12 "
Sizes : 6 " x 24 "
Sizes : 12 " x 12 "
Sizes : 8 " x 19.75 "
Slate, A fine grained metamorphic stone that formed from clay, sedimentary rockshale and sometimes quartz. 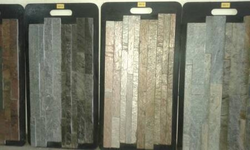 Slate, being a slip-resistant medium, is often used for different flooring applications. 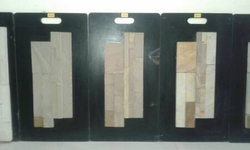 The colors and subtle textures of a slate floor complement most any interior design scheme. 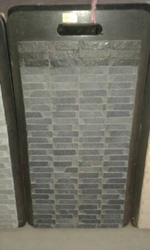 Natural slate has a look that cannot be matched using man-made alternatives. 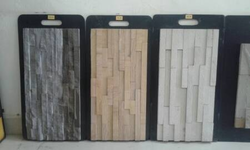 Slate, characterized as unfading, non-absorptive, stain-resistant and unaffected by freeze-thaw cycles or other extreme environmental conditions, serves as the perfect medium for wall cladding applications. Sandstone, the sedimentary rock is composed of small grains cemented by silica, with felspathic, or calcareous cementing material. 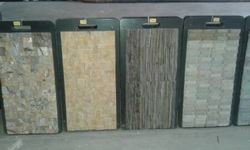 Sandstone is mostly formed in layers and has varied applications as building stones. The formation of sandstone is a result of consolidation of sand and held together by natural cement, such as silica. 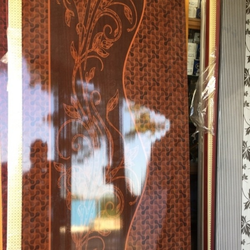 The color of the material is largely determined by the cementing material – iron oxides for example produces red or reddish-brown sandstone, and the other materials produce sandstone in the shades white, gray or yellow. 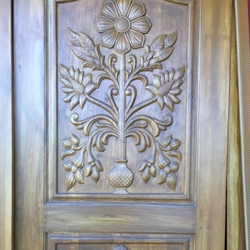 Sandstone has been widely used for raising walls since ages. 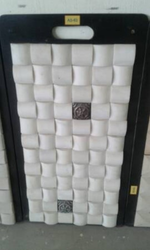 The finely grained, compact, quite hard, stone with good compressive strength and low absorption property is the perfect medium for walls. The walls of sandstone have been a part of most of monuments. 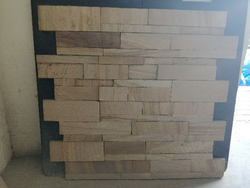 The fireproof, non-slip sandstone, is mostly used for wall cladding not only because of its strength but because of its decorative look.